SoCal Kids Outdoor Adventures: A Healthier New Fast Food at @McDonalds_SoCal! The Premium McWrap #UnWrapSoCal! A Healthier New Fast Food at @McDonalds_SoCal! 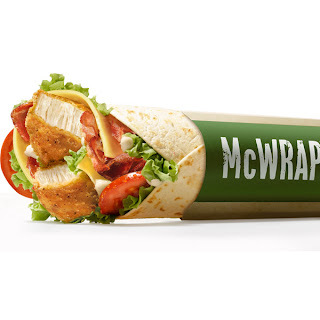 The Premium McWrap #UnWrapSoCal! When people think fast food... fresh certainly doesn't come to mind. A new wave of healthier lifestyles have forced the major fast food chains to rethink the way their menus look. I was invited to McDonalds Premium #UnWrapSoCal party at their Santa Ana location on Seventeenth street. I was a little skeptical, fresh? McDonalds? Okay... I would give it a try. I was greeted by pleasant hostesses who offered us apple slices, water, yogurt parfait, and of course a choice of 3 Premium McWraps. Since I wanted to choose something I wouldn't normally try, I decided on the Grilled Chicken- Sweet Chili McWrap. The first thing I noticed was that they had a new improved packaging that was different that any other I had seen before! It came in a box that had a pull tap around the middle. It was easy to unwrap and even easier to eat without food dripping on my clothes. The colors and fresh food inside the McWrap made me forget that I was at a fast food place. Fresh lettuce, cucumbers, cheese, (grilled)chicken, Sweet chili sauce and a creamy garlicky sauce nestled in a warm flour tortilla. I must say, presentation helps me decide before I take a bite whether I will take a second bite. I wasn't disappointed. The flavors came together in a sweet and slight spicy burn that was cooled by the cucumber and was pleasantly filling. After eating it, I didn't feel full or bloated as I sometimes do with greasy fast food. I actually felt pretty good! My fellow tasters had similar results as I did. Everyone agreed that this could be the start of a new fast food relationship. So it tasted good, the next question is, how healthy is it really? The fresh vegetables definitely make me give it a thumbs up. I chose the grilled chicken which helped keep it low calorie but the count goes up with the Crispy, as all fried foods do. My Grilled Sweet Chili Chicken McWrap was about 360 calories and 9 grams of fat. Not bad! A Big Mac with less healthy food inside has about 550 calories and 29g of fat. One item that was pointed out at the event, apple slices are now a staple in the kids Happy Meal. The size of the less healthier snacks such as French fries(yummy!) and soda is getting smaller and newer options like the apple slices and juice/milk/water is getting more prevalent. I really like the direction that McDonalds is taking with their new menu! As a parent, my children often ask for fast food. While it is not a common occurrence, I feel better knowing that there are healthier options for myself and my family without the guilt of buying on the go when we do. 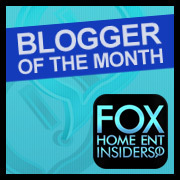 I really enjoyed the company of fellow bloggers at this event. There were foosball games, basketball and a bowling game that we were able to win cute McDonalds Fry bags! The event closer ended with a fun McDonalds Trivia Bingo game that would end in the winner receiving a Ipad Mini! It was a tough game with questions such as: What was the color of Ronald McDonalds Hair? (red) and progressed into harder questions such as Which city built the first Ronald McDonald House? (City of Orange) While I was in the final running with a fellow blogger Mary of Let's Play OC, we both didn't know the final answer and missed out on the prize. I am really glad I had the opportunity to share my experience of the new McWraps, I really hope that the fast food chains keep listening to their customers about wanting healthier options and keep up the good work. Premium McWrap Chicken & Bacon (Crispy or Grilled)- Creamy Garlic Sauce, Bacon, Jack/Chedder cheeses, sliced tomato and lettuce wrapped in a warm flour tortilla. 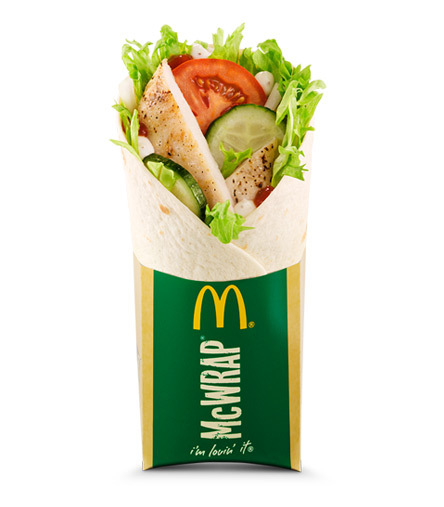 Premium McWrap Chicken & Ranch (Crispy or Grilled)- Ranch sauce, seasoned rice vinegar, sliced tomato, cucumber, cheddar/jack cheese and lettuce wrapped in a warm flour tortilla. 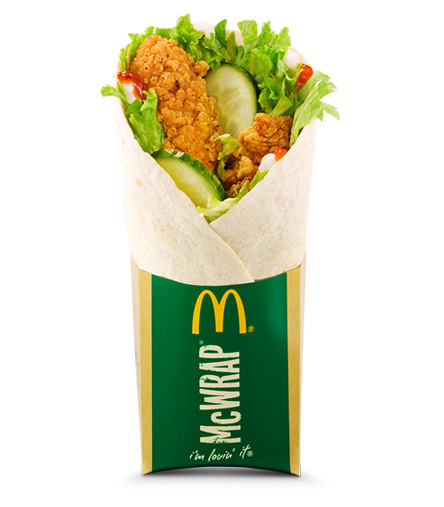 Premium McWrap Chicken Sweet Chili (Crispy or Grilled)- Sweet Chili, creamy garlic sauce, cucumbers and lettuce wrapped in a warm tortilla. Disclaimer: This is not a sponsored post. All thoughts and opinions are my own. I was given free samples of the McWrap to review. Please do not use any of the pictures without permission.